Acknowledging global concerns over the “haphazard” management of the crisis by Tokyo Electric Power (TEPCO), Prime Minister Shinzo Abe said his administration will step in with public money to get the job done. “The government needs to resolve the problem by standing at the forefront,” he told a meeting of his nuclear disaster response team. “Discarding the current, impromptu response, we will set up our basic policies for a fundamental resolution of the contaminated water problem. “The government will do its best and take the necessary fiscal action,” he said, referring to tapping taxpayer funds. 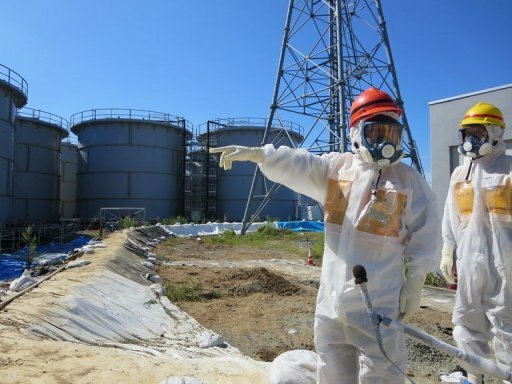 “The world is paying attention to whether we can realise the decommissioning of Fukushima Daiichi, including the contaminated water problem,” Abe said. The government hopes this ice wall will be operational by March 2015, with a feasibility study already under way, Kyodo reported. A further 15 billion yen will be spent on equipment to remove radiation from water currently being stored. On Monday, the head of Japan’s nuclear watchdog said it was “unavoidable” that water would have to be released into the ocean at some point, although he stressed it would have to be largely decontaminated first. TEPCO’s clean-up at Fukushima has come in for increasing criticism from politicians, academics and Japan’s usually quiescent public. Abe on Monday described TEPCO’s approach to the crisis as “haphazard” and vowed to take the initiative in containing the leak. Last week, one of his ministers compared TEPCO’s handling of the leaks with playing “whack-a-mole”, the anarchic fairground game in which players must hit furry creatures with a mallet as they pop up from random holes.